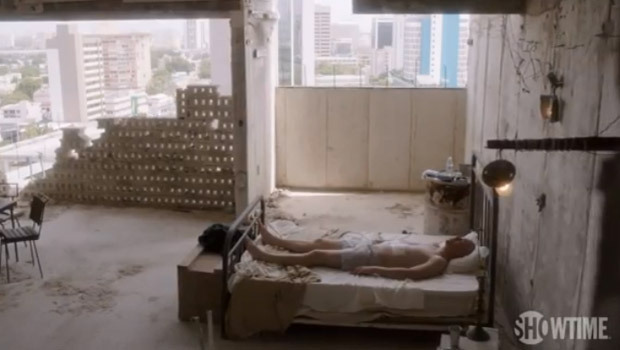 Homeland season 3 is set to hit our screens later this year – and we have the very first look at the tense new trailer. The nerve-wracking, 3 minute-long clip begins where Homeland season 2 left off, with Carrie leaving Brodie in the forrest, after activating a dramatic escape plan. Fast-forward 200 days, and the sneak peek, set to music, shows the aftermath of Brodie’s disappearance – his family struggling to cope with past events, and Carrie standing up in court. The trailer also shows a CIA board documenting the hunt for the missing former-soldier – who is pictured in hiding – before cutting to Rupert Friend’s character trying to track Brodie down. We’re on the edge of our seats. Earlier this month, Claire Danes and Damian Lewis struggled not to give anything away as they took part in a press conference ahead of Homeland season 3. Claire Danes told the audience that the season will open with a ‘bleak beginning’ for her character Carrie Mathison set 200 days after the series 2 finale, where Brody and Claire’s tumultuous relationship is severely tested. 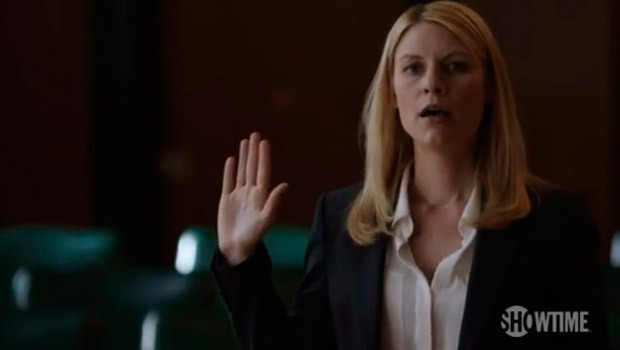 Homeland season 3 will air in the US in September, and on Channel 4 in the UK in October.